Industrial biotechnology can be defined as the use of modern biological life sciences in various industries. Biotechnology has a myriad of applications in our day to day life such as with simple processes such as the brewing of beer, use of enzymes in detergents, production of fermented food, production of antibiotics, nutritional supplements etc. This book also includes processes (production of biofuels, treatment of effluents) that contribute to creating efficient, eco-friendly environments. 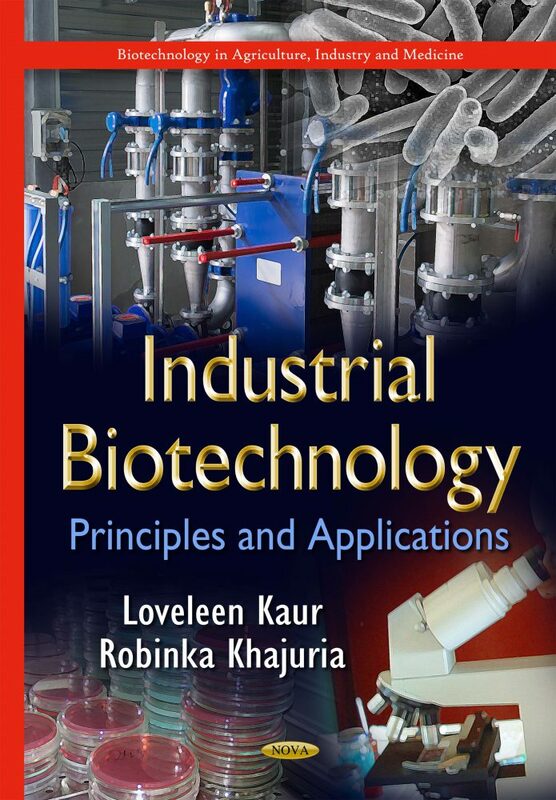 This book discusses the different aspects of bioprocesses; media design, fermenter design and the economics of it. It also explains in detail the processes and techniques involved in the production of commercially important products. This book is an up-to-date collection of the latest practices being followed in the field of industrial biotechnology for students both at the undergraduate and postgraduate level. The principle audience for this book will be Students enrolled in professional courses: B.Tech and M.Tech. This book will also be relevant to students pursuing B.Sc. and M.Sc. Biotechnology and Microbiology. This book will be equally beneficial to the faculty teaching the subject as this book aims to combine the theory and practical applications of the subject.